Being a mom continues to be my most challenging and rewarding role — and one that no amount of research could have fully prepared me for! When my youngest child was 6-months-old she contracted whooping cough. At the time Molly was too young to receive the full regiment of vaccines, and she was sick for weeks. She fortunately made a full recovery and leads a healthy, active life today; but her health scare remains a constant in my mind, especially as we welcome home our new baby Henry. Fortunately, since that time, scientists have been examining the possible causes for the large number of whooping cough cases in the U.S. and made recommendations aimed at curbing domestic outbreaks. It’s more important than ever for infants to receive all five recommended doses of the DTaP (diphtheria, tetanus and pertussis) vaccine, followed by the booster shot of the adult version of the pertussis vaccine (Tdap) at 11- or 12-years-old. It’s staggering to note that 83 percent of infants who are diagnosed with whooping cough got it from a family member, most often their own parents. All the adults in our home, and those who will have contact with Henry, received their Tdap booster before his arrival. Tdap vaccines are also safe for pregnant mothers. I received mine during the third trimester of my pregnancy with Henry as part of the [email protected]/Walgreens Get a Shot. Give a Shot campaign — that’s me, above, right after I got my shot! By getting vaccinated during pregnancy, not only did I ensure protection for myself, but I also transferred protection to Henry since he cannot receive his first DTaP vaccine until he’s 2-months-old. As we enjoy this special time with our little Henry I encourage all mothers to do their research and become educated about vaccines. I work with an organization, Every Child By Two, which works to protect all children from vaccine preventable diseases by raising parental awareness of the critical need for timely infant immunizations. 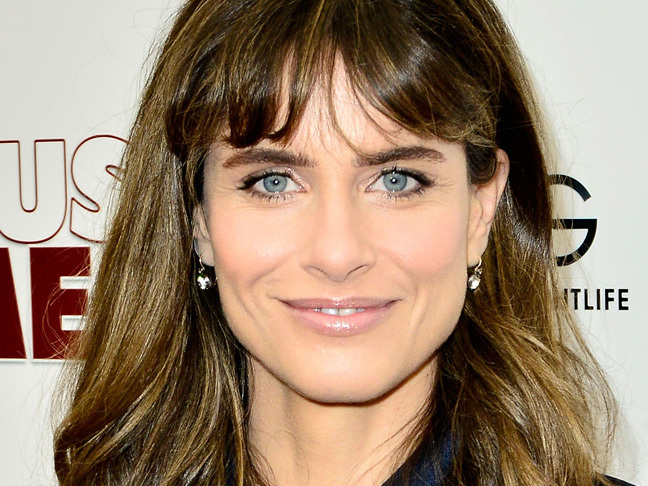 Amanda Peet is Momtastic’s December celebrity guest editor. Peet is an actor, mother, and advocate for childhood vaccines. She began serving as a volunteer ambassador to Every Child By Two in 2008 after giving birth to her first child. Through her ongoing presence, the campaign has reached more than 500 million people with messaging about the safety and necessity of timely vaccinations. Peet has continued her commitment to childhood vaccines as a Global Advocate for the United Nations Foundation’s [email protected] Campaign to highlight the critical importance of increasing access to vaccines for children in developing nations. As an actress, Peet’s biggest break came when she starred in The Whole Nine Yards in 2000. (That same year she was voted one of the "50 Most Beautiful People in the World" by People.) Since then she’s starred in movies such as Melinda and Melinda, A Lot Like Love, Syriana, Please Give, and Gulliver's Travels. Additionally, she appeared on Broadway in Neil Lane’s “Barefoot in the Park” and made her playwriting debut with “The Commons of Pensacola” this year. On January 11, 2015, her new TV show "Togetherness" will debut on HBO. Peet and her screenwriter husband David Benioff, live in New York City and Los Angeles with their daughters, Frances Pen and Molly June. The actress is expecting her third child, a boy, any day now.